2 Bedroom House To Rent in Henley-on-Thames for £1,650 per Calendar Month. 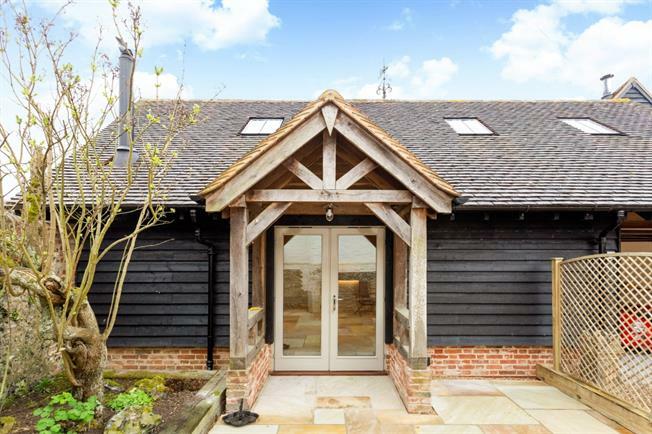 A newly built barn with parking and private patio enjoying lovely views over wonderful Chiltern countryside. The property has been finished to a high standard and comprises an open plan kitchen/living space with woodburning stove and plenty of space for both living and dining areas. To the first floor the property comprises two bedrooms and a shower room. The barn occupies an elevated position in Rockwell End. Local amenities are catered for in Hambleden and Frieth villages, as well as Henley and Marlow. The local pubs are The Stag and Huntsman and The Yew Tree and sporting amenities include Hambleden Sports and Social Club which offers tennis, cricket and football. There is plenty of scope for walking, riding and making the most of everything that the countryside and nature have to offer. Hambleden has often been the location for films and television programmes including "Chitty Chitty Bang Bang", "101 Dalmatians", "Miss Marple" and "Midsomer Murders". The barn benefits from a private patio area and off street parking.